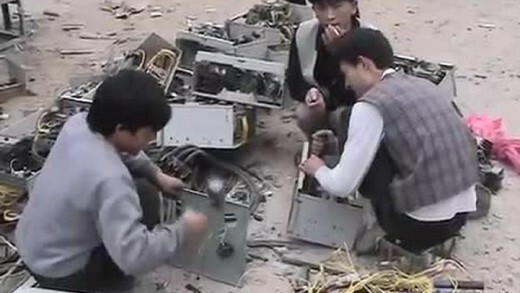 Who Pays the Price — The Human Cost of Electronics is a short film that seeks to humanise the largely hidden and anonymous global labour force that enables the ubiquitous technoculture, documenting the harsh conditions in which electronics are made and how this really impacts those people’s lives, and the environment. Toxic chemicals, plastics, and sweat-shop working conditions all contribute to the global machine that disseminates digital technologies, hidden in plain sight. Through direct footage of factory workers, interviews with them and analysis of the conditions, Who Pays the Price asks the question of the viewer, and as a call to action to stop the exploitation and toxification of people and the natural world. For more then twenty years, many hundreds of tons of electronic waste—or e-waste—from all around the world has been transported to an infamous Chinese town called Fengjang, just south of Shanghai, for disposal and so-called ‘recycling.’ Around 50,000 migrant workers constitute part of the massive workforce necessary to dispose of e-waste, with the downcycling component of the operations involving cutting, splitting, and salvage—most-often with rudimentary equipment. The workers toil endlessly to process almost 2 million tons of garbage every year, bearing incredible precariousness, and even putting in danger their own health due to the simply unacceptable working conditions and also the toxic characteristics of the metals, chemicals and materials they’re handling. As the recognisable heaps of waste continue to pile up, Heavy Metal provides a moving image of a worldwide consumer society and the stark direct impacts of an ‘invisible’ waste. 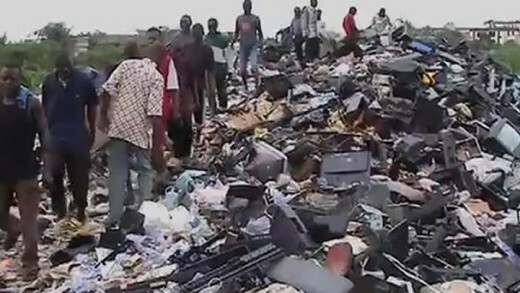 Almost 50 million tonnes of electronic waste is generated worldwide, every year. A large volume of it is shipped off to Ghana, in West Africa, as “second-hand goods” where electronics are not seen for what they once where, but rather for what they’ve become. Without dialogue or narration, e-Wasteland presents a visual portrait of vast landscapes polluted by electronic waste, shining a light on the endless consumerism of the 1st world; and the real, pervasive, ecological impact of electronic waste worldwide. 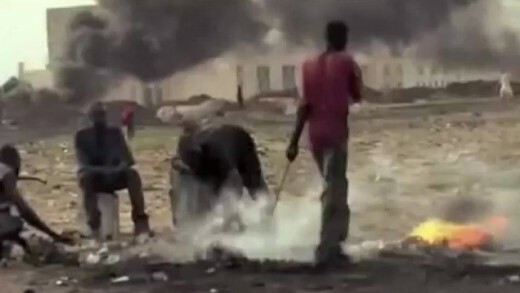 e-Waste is a short film that investigates the grave effects that technological waste has on the environment in Ghana, and the impact it has on the lives of those who are forced to work with such hazardous materials in order to survive. A group of graduate journalism students from the University of British Columbia travel to the outskirts of Ghana as part of a global investigation tracking the shadowy industry of e-waste that’s causing big environmental problems around the world. Their guide is a 13-year-old boy named Alex. 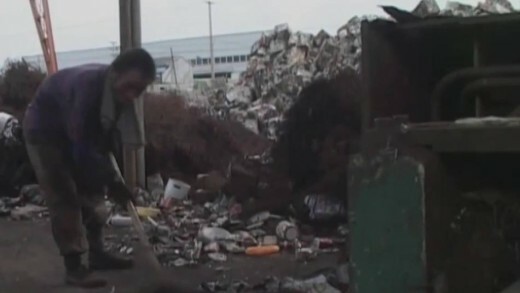 He shows them his home, a small room in a mass of shanty dwellings, and offers to take them across the dead river—which is literally dead—to a notorious area called Agbogbloshie which is one of the world’s unseen e-waste dumping grounds. 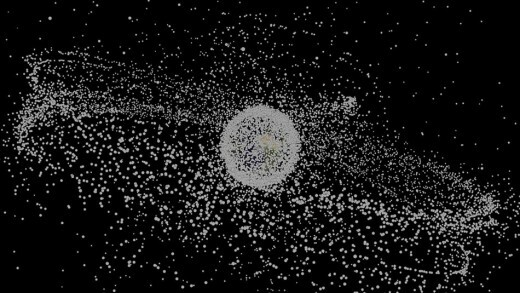 Hundreds of millions of tons of waste are funnelled here each year, with more to come as the consumer boom of computers and gadgets increases across the globe—unless drastic action changes the flow of waste and addresses the terrible conditions many have to endure for the technocracy of the West. 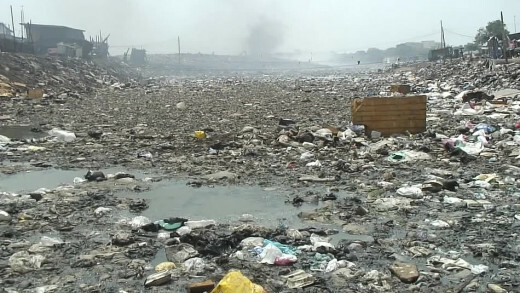 The Digital Dump — Exposing The Electronics Waste Trade travels to Lagos, Nigeria with the Executive Director of a global environmental organisation called BAN based in Seattle. 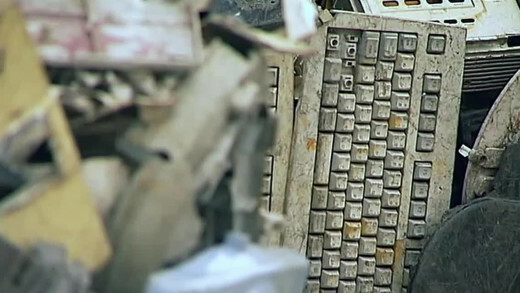 The film is recorded over the course of 10 hectic days, during the week that Hurricane Katrina hit, documenting the reality of an escalating global trade in toxic, obsolete, discarded computers and other e-waste collected in North America and Europe. 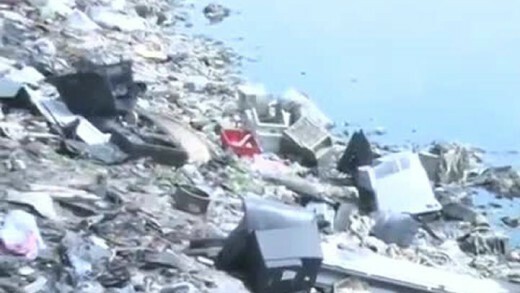 The waste is sent to countries like Nigeria by waste brokers and so-called recyclers. In Lagos, while there is some ability to repair and refurbish old electronic equipment, local experts explain that of the estimated 500 40-foot containers shipped to Lagos each month, as much as 75% of the imports are simply junk and are not economically repairable or marketable. 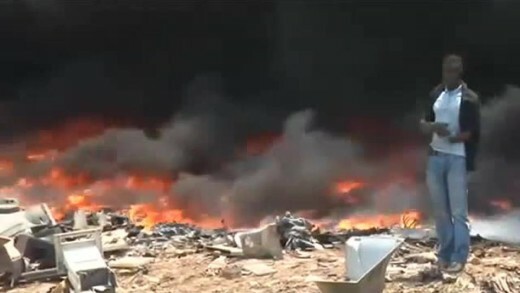 Consequently, this e-waste is being discarded and routinely burned, despite the legal status of it as being hazardous materials.